Finishing: Mounted on 1750 Micron Board and die cut. 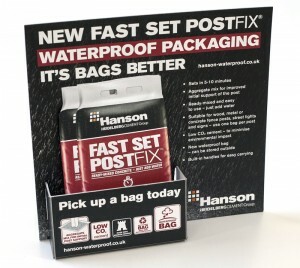 We always relish the opportunity to produce innovative printed items for our clients, which is just one of the things that differentiates us from our competitors. We were recently asked to produce a self-locking leaflet dispenser and die cut leaflet for Hanson UK, a leading supplier of aggregates, cement and other heavy building materials. Our paper engineering skills were put to the test – we printed the holder design onto 170gsm silk and then mounted it onto 1,750 micron board, before carefully die cutting to shape to create a self assembly unit. 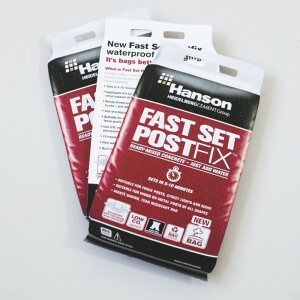 The accompanying two page leaflets were printed on 250 gsm silk and die cut with apertures to directly reflect the shape of the product packaging. 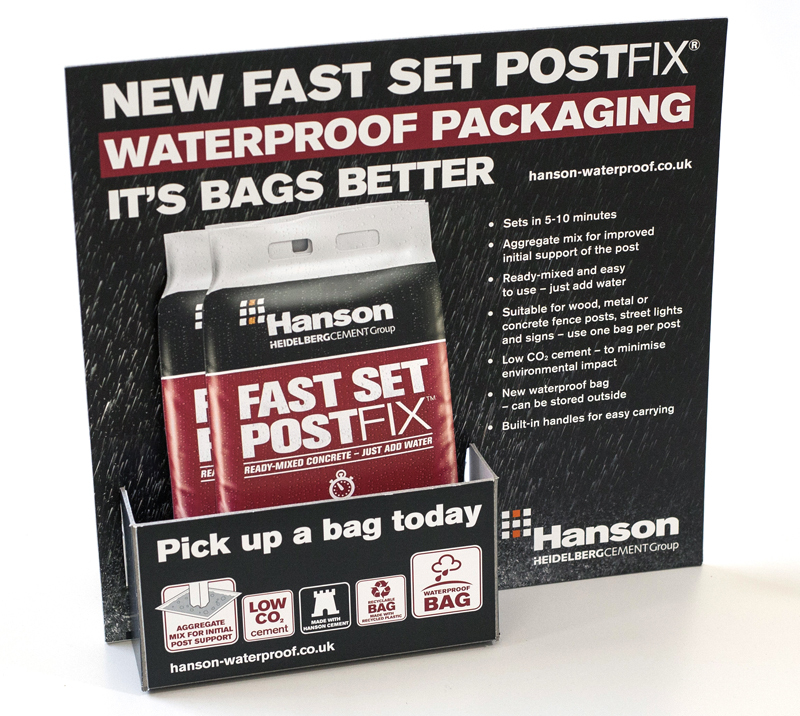 The result is a durable, easy-to-assemble POS and an engaging, eye-catching leaflet that perfectly promotes Hanson’s product. Both pieces will be displayed in building merchants throughout the UK later this year.